The last Harry Potter book was released that day and we happend to end up in the queue at the book shop at the airport that very morning. They were just unpacking the huge piles of new books. And Katrin and I, we both wanted one. Realizing that they were nearly 10N$ more expensive at the airport than what we had already seen on signs in bookshops in town, we decided to wait and buy our books in town. And this is what we did. Then we spend the rest of the day in a cozy Starbucks shop, sitting next to a real fireplace, getting some more coffee and Chai tea every now and then and just reading. This is why we only starting exploring the city on the second day of four in Christchurch. 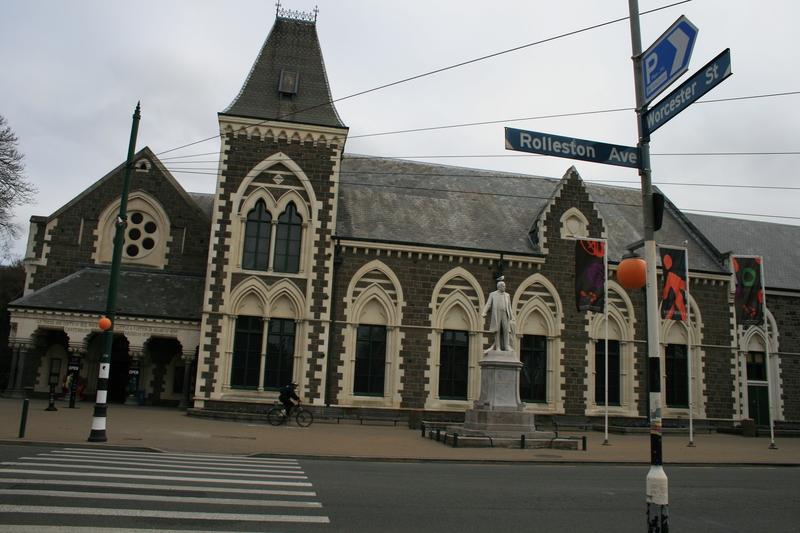 We started with a walk around Christchurch’s cultural precint, seeing historic buildings like Christchurch’s cathedral that was unfortunately destroyed during the earthquakes in 2010 and 2011 and is now rebuilt, or the Arts Center as well closed due to damage and under restauration. 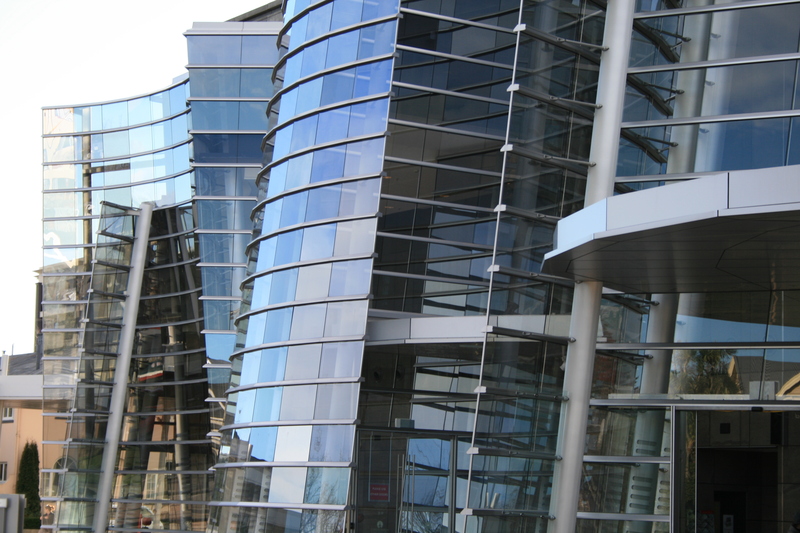 In stark contrast with those old building was the Arts Gallery with its outlandish glas facade. Unfortunately it is also closed due to damage. I included links to all three websites so you can check on the state of renovation/rebuilding. As it was cold we were looking for something indoorsy to do and ended up in the Canterbury Museum. I don’t remember much except from the fact, that it was here my camera finally ran out of battery and I had forgotten the recharger back in Australia, so I would say the museum wasn’t that exciting. It seems to have survived the earthquake better than some other buildings and the museum is open. One day in Christchurch gave us a good overview over all there was to see. We then decided that we wanted to do day trips for the remaining two days. 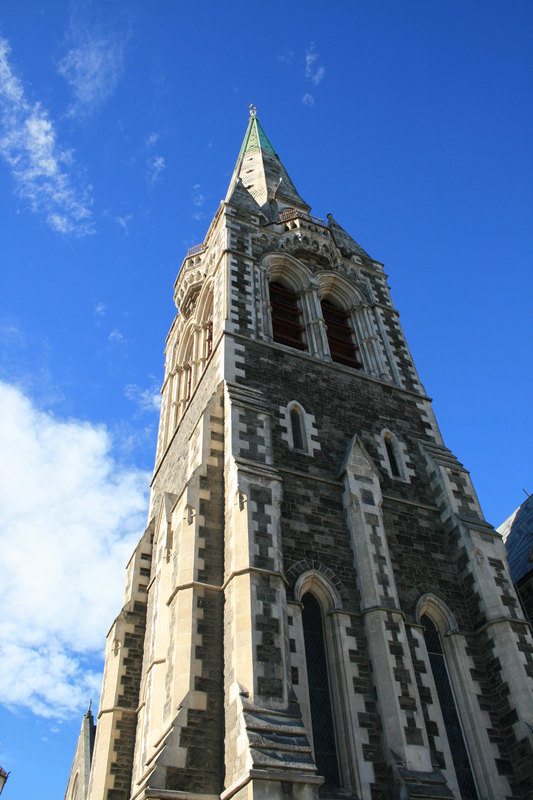 Christchurch is a good base to do trips with the Tranzalpin and to Hamner Springs. You could also go on skiing trips from here. 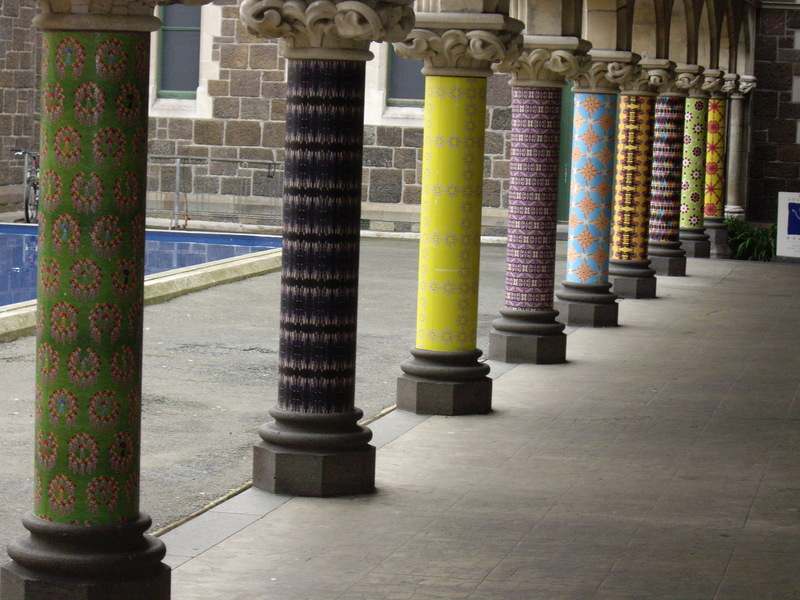 This entry was posted in New Zealand and tagged Christchurch by kathatravelling. Bookmark the permalink.